This is the epistle from Canadian Yearly Meeting 2018, which was held August 3-11, summarizing many of the most important happenings and decisions. The Quaker understanding of Truth is a complex one… Friends have not traditionally believed that truth is relative, or that it changes over time or from one person to another: Rather, we have believed in continuing revelation: that God continues to reveal Truth (with a capital T) to each person individually, without intermediary. This leads to many different interpretations of Truth or different personal truths, if you will. However, although Friends believe that no one person can know the entire Truth, that does not mean that we don’t believe absolute Truth exists. The Truth we are all seeking, though it may be expressed and lived in many ways, is universal Truth. Loving greetings from Canadian Yearly Meeting (CYM). More than one hundred and fifty Quakers gathered over eight days, from August 4-11, 2018, in Barrie, Ontario. This was the 184th annual gathering of Quakers in Canada, our 62nd as a united Yearly Meeting, and our first after a fallow year in 2017. We acknowledge with gratitude that our Yearly Meeting took place on the traditional territory of the Anishnaabek, Haudenosaunee, and Wyandot. We were welcomed to this territory by Anishnaabe elder Jeff Monague, and our Quaker Study, led by Canadian Friends Service Committee’s Jennifer Preston, was on the theme of “Faith, Reconciliation, and Relationships with Indigenous Peoples.” Jennifer invited several Friends to share their experiences with reconciliation. She also brought to bear her considerable experience working on the United Nations Declaration on the Rights of Indigenous Peoples on an international level, and for reconciliation nationally. Prior to the official start of Canadian Yearly Meeting, a number of Friends enjoyed a pre-Gathering retreat on “Sharing our Spiritual Journey” led by Ellen Helmuth of New Brunswick Monthly Meeting. 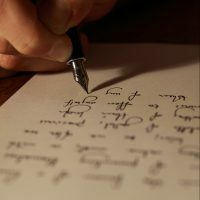 Friends were invited to reflect on the mentors and testimonies that had formed them, and to share and write stories of their spiritual journeys. 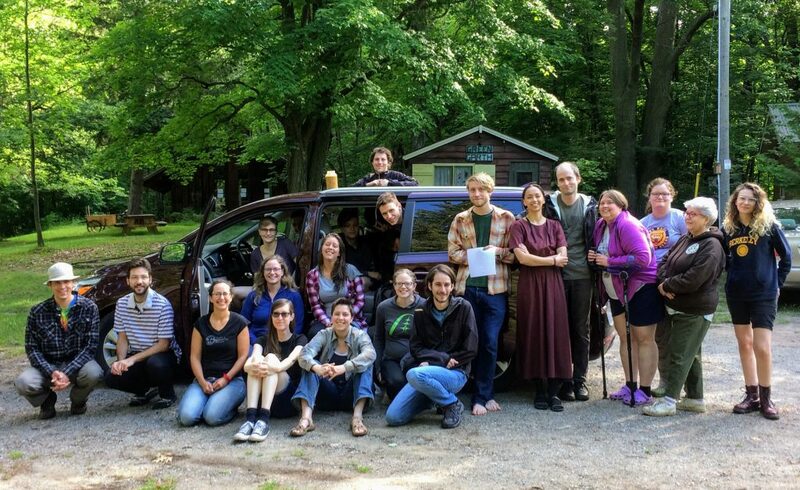 Over thirty Young Friends and Young Adult Friends (ages 13-35) also gathered before CYM at Camp NeeKauNis, a Quaker camp which has been operating for over seven decades. 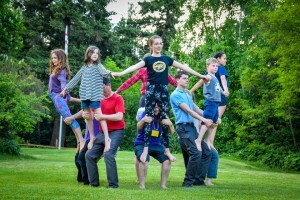 They spent time playing, swimming, singing, getting to know each other, and discerning how best to support our Young Friends/Young Adult Friends community, given that Canadian Young Friends Yearly Meeting has been on hiatus as an official body since 2016. Young Friends and Young Adult Friends (YFs and YAFs) continued their discernment process during CYM. They decided to revive Canadian Young Friends Yearly Meeting and provisionally to replace the previous clerk structure with a team of Youth Representatives and a separate organizing committee for the next Youth Gathering. This, we hope, will provide a more sustainable leadership structure. After this revival was reported to CYM Thursday morning, there was an extended period of worship during our Meeting for Business. Young Friends and Young Adult Friends were held in the Light while they used a worship-sharing format to respond to the following query: “How can and do Quakers across Canada welcome and nourish Young Friends and Young Adult Friends, recognizing them as valued community members?” It was a powerful opportunity to hold and listen to YFs/YAFs as they shared joys and challenges about being integrated into the broader Quaker community. Older Friends were encouraged to keep listening to YFs/YAFs in support of their growth and blossoming. A highlight of this year’s programming was Arthur Larrabee’s Sunderland P. Gardner lecture on “Making Room for Spirit.” Arthur, a visitor from Central Philadelphia Monthly Meeting, drew on spiritual insights from various religious traditions, as well as personal (often humorous) anecdotes, to explain how we might remove barriers to Spirit in our lives by dissolving attachment, practicing patience, ‘dying’ into fear, and embracing paradox. With two years having elapsed since we last gathered, the list of Friends who have died since our last Yearly Meeting was very long. The Memorial Meeting was beautiful and moving, and we are truly grateful for the grace of God evident in the lives of these Friends. During our business sessions, we celebrated the formation of Atlantic Half Yearly Meeting, moved forward in defining a process for creating Advices and Queries specific to the Canadian context, and asked the Clerk of CYM to write a letter to the Pope commending him for adding his support to the many voices demanding abolition of the death penalty. We learned that Canadian Yearly Meeting shares in the honours conveyed by the 2017 Nobel Peace Prize, having become a partner organization of the recipient, the International Committee to Abolish Nuclear Weapons, in 2012. The name “Religious Society of Friends, Canada” is recorded with others on the commemorative stone marker in Oslo, Norway. A report by Nominating Committee of the challenges in filling CYM positions led to a discussion of Friends’ individual strengths and weaknesses, and Friends were encouraged to engage in discernment rooted in getting to know each other better and being willing to try new and unfamiliar things. One position which was not filled was that of “Carbon Coordinator;” later we were delighted to learn that a small group of Friends has agreed to have their names put forward together as a team for this position to help us understand how to reduce our environmental footprint. A wide and varied bouquet of Special Interest Groups was offered throughout the week on topics such as restorative justice, Friendly outreach, couples’ enrichment, experiences with cancer, tools for spiritual discernment, electronic surveillance, death and dying, environmental concerns, principles of Quaker Faith, the “No Way to Treat a Child” campaign to end Israeli military detention of Palestinian children, lessons from Britain Yearly Meeting, the erosion of democracy in the US, and more. We enjoyed the contributions of several visitors: Gloria Thompson from Friends World Committee for Consultation (and Manhattan Monthly Meeting), Anne Pomeroy from Friends General Conference (and New York Yearly Meeting), Hugh O’Farrell Walsh from Ireland Yearly Meeting (who was a particular joy to YFs/YAFs), and the family of Binwa and Etienne Paul Mungombe, from the evangelical United Friends Churches in Canada (UFC). 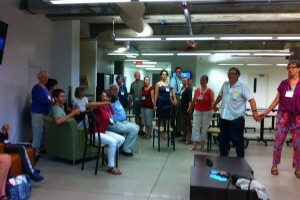 UFC invited Friends in Canadian Yearly Meeting to its general conference August 25-26. A thread ran through the way we welcomed Evangelical Francophone Friends, engaged in a week-long reflection on right relations with Indigenous peoples, and really listened to Young Friends and Young Adult Friends. We realize that God is calling us to widen our circle and to challenge the barriers we unconsciously have placed on our welcome. 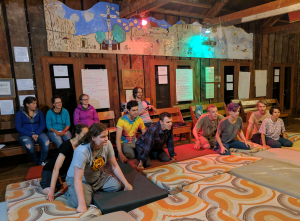 Great joy and fellowship was shared during CYM’s visit to Camp NeeKauNis, Family Night, and in all the nooks and crannies that Friends creatively found in our very full schedule. Though we may have come to CYM as individuals, we left as family. Canadian Yearly Meeting (CYM) in-session will take place in August in Barrie, ON and after a fallow year, we are excited to gather in community again! We value the time we spend together and as we know there are many facets to organizing a successful Gathering. One integral part of our Gathering and spiritual growth is providing an enriching Youth Program. We’ve been able to offer wonderful Youth Programs in the past and wish to continue this valued gift… but this is where we need your help! Would you consider volunteering your service toward the Youth Program this summer? We are actively searching for the following: Child & Youth Program Coordinator and Youth Program Leaders. We are looking for people to help lead our Youth Program this summer at CYM. The Youth Program is an incredibly fun place to be at CYM – there is enthusiasm, laughter and joy; but we need great leaders to bring a wonderful program together. If you can serve CYM by being the Youth Program Coordinator or a leader in the Program we want to hear from you! Your responsibilities would include working in collaboration to put together a program at CYM (there will be volunteers to help). The program needs to include worship time, Quaker study time and outings. There are many resources available to help you. We cannot run a program for children and youth without leaders! Travel, meals and lodging are covered by CYM as these are Required Services positions. Anyone involved in the Youth Program will need a current Police Check. There are usually 3 age groups in the Youth Program. The Coordinator manages the program and leads an age group, while Leaders are responsible for the other age groups. Questions? Want to apply? Contact the Yearly Meeting Office.